You may have guessed if you have followed my blog for a while that I’m a huge fan of the Chamäleon Theatre in Berlin. If you are pretty new around here, then you might be wondering why I’m sharing a review of their latest show, Memories fo Fools? I hope this post will enlighten you! Why You Should Visit Berlin? If you haven’t visited Berlin, then personally I think it’s a European city break you should be adding to your list. Firstly, you can be in Berlin in less than 2 hours, so it’s really accessible. It’s an incredibly affordable city to visit also, and I’d strongly recommend picking up the Berlin Welcome Card from Visit Berlin which covers using all the public transport in the city, as well as giving you a discount at around 200 attractions, with some offering as much as 50% off! It’s a city with a difficult past but a very bright future, and it’s not afraid to wear its heart or vulnerabilities on its sleeves. 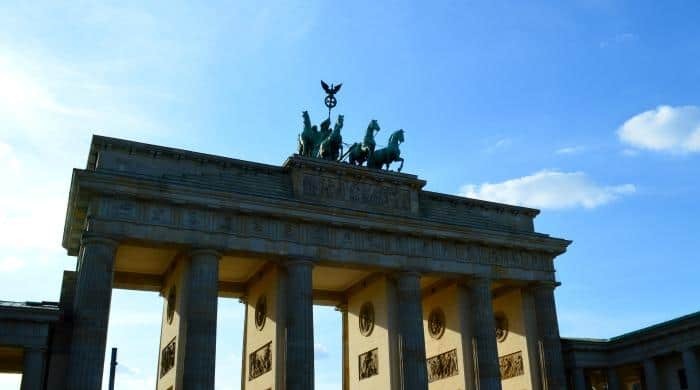 Whether you have 24 hours or 48 hours to visit Berlin it’s a place that can really open your eyes, with must visit attractions like the East Side Gallery, the Memorial of the Murdered Jews and the chance to explore the dome at the Reichstag which overlooks the German parliament. There really is so much to see and do, this really only scrapes the surface of things to do in Berlin. The Chamäleon Theatre in Berlin is a very special venue located in the popular Hackesche Höfe courtyards. First constructed in 1906, the Chamäleon Theatre has had many different guises, once being a ballroom, later taking on showcasing cabaret theatre and going off at a tangent and taking on a different lease of life as a work shop warehouse. 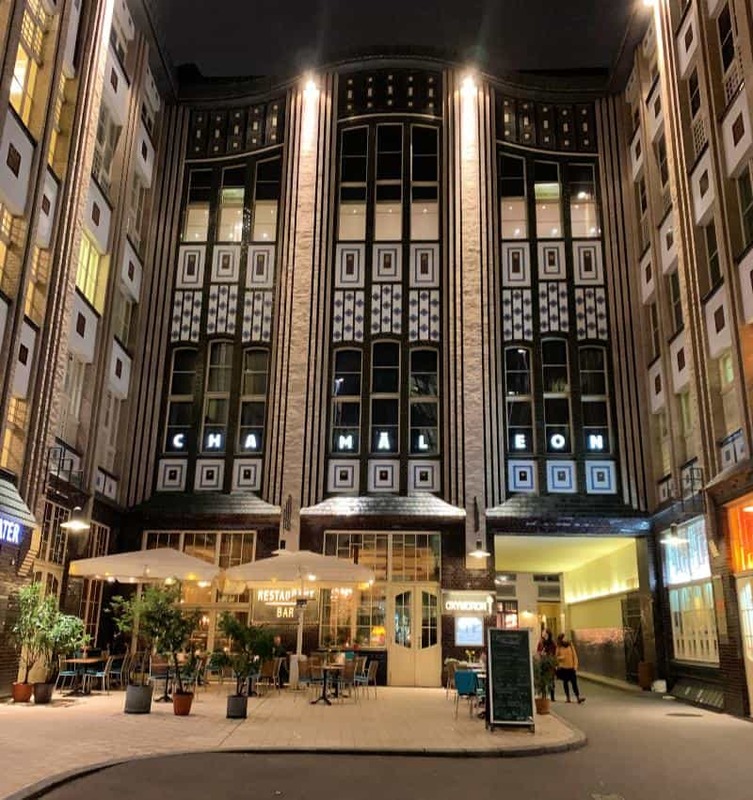 Despite the challenging history of the building the Chamäleon Theatre has been beautifully restored and has firmly made its mark as the home of New Circus in both Berlin and Germany. 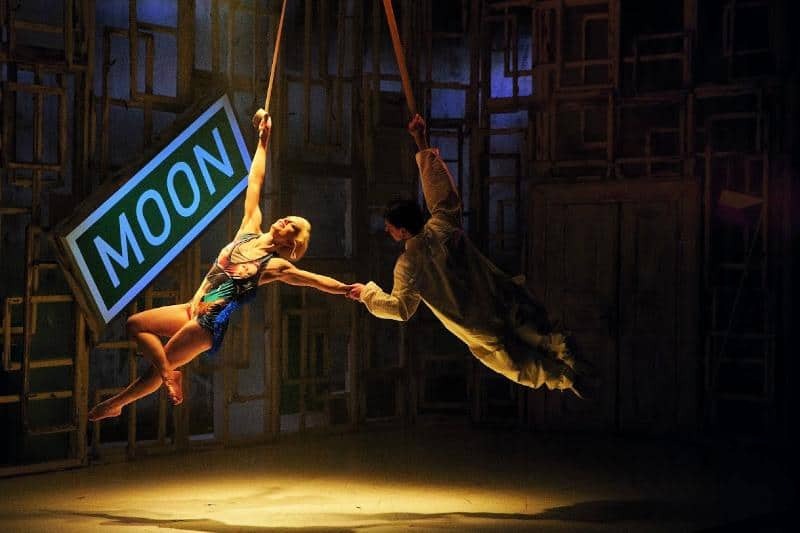 New Circus is a relatively new genre in Berlin’s theatre story, but the Chamäleon Theatre are passionate about giving it the stage it deserves and developing not only the art but the performers too. That passion shines through in every conversation I’ve had with the team and the circus companies that perform here. To be invited back to the Chamäleon Theatre for the fifth time to see the latest show, Memories of Fools, by circus rebels Cirk La Putyka, was such an honour. It’s always exciting to see what Chamäleon Theatre will bring to the stage in each new season, and this year was particularly exciting! Memories of Fools marks the beginning of the 15th anniversary of Chamäleon Theatre and the celebration of its relationship with the Berlin arts scene and the inspiring New Circus community. It’s so exciting to be a small part of the journey that the Chamäleon Theatre is on, and I for one hope they have many more anniversary’s ahead. If you are planning on visiting Berlin and would like to add a live show to your itinerary, I would always recommend adding going to the Chamäleon Theatre during your stay. The venue is a charming an intimate setting, and I promise you that there aren’t many places you can get as close to a new circus production as this. I was privileged enough to sit in the front row seats, but the fact that I could actually touch the stage was still pretty mind-blowing. As we waited for the curtain to go up, excitement was bubbling around the theatre. There is always an air of anticipation as the crowd awaits what the Chamäleon Theatre has up its sleeve next. The Chamäleon Theatre has a very loyal following in Berlin, as well as a wider appeal to the international visitors that pass through Berlin. Memories of Fools was a very different performance to what we had seen previously. If you read my review of The Peep Show, you will know that that was a slightly more risqué performance from Chamäleon Theatre . Memories of Fools however falls into the family friendly category and I would happily take a child along who was able to sit through a 90 minute production with interval. Memories of Fools successfully brings to the stage a narrative about a young boy who wants to learn to fly. He dreams of going to space and it’s a story that comes alive in his very vivid imagination. 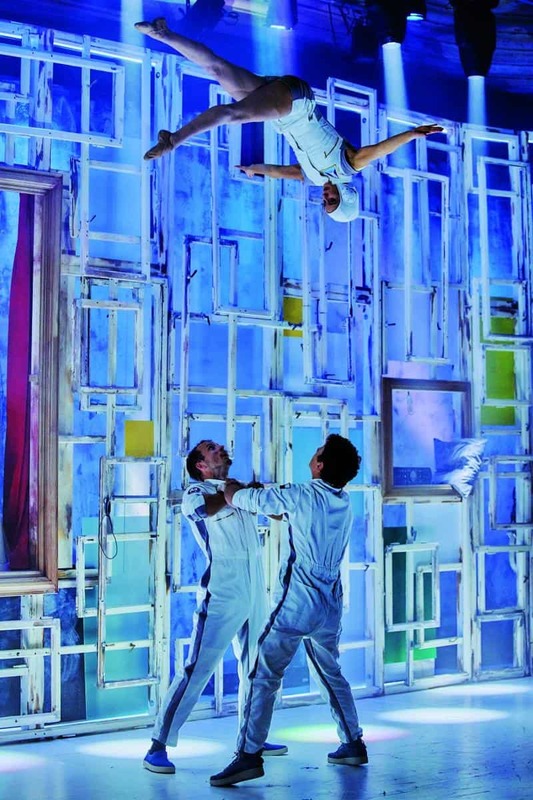 Cirk La Putyka use a charming fusion of comedy, magic and circus skills to bring the journey to life for the captivated audience. The show captures perfectly how children are inspired to follow their dreams and believe that anything is possible. A simple idea in their heads can take them on the most fascinating journey, and I’m sure that the little boy in the show is not the first child in the world to believe he could fly. 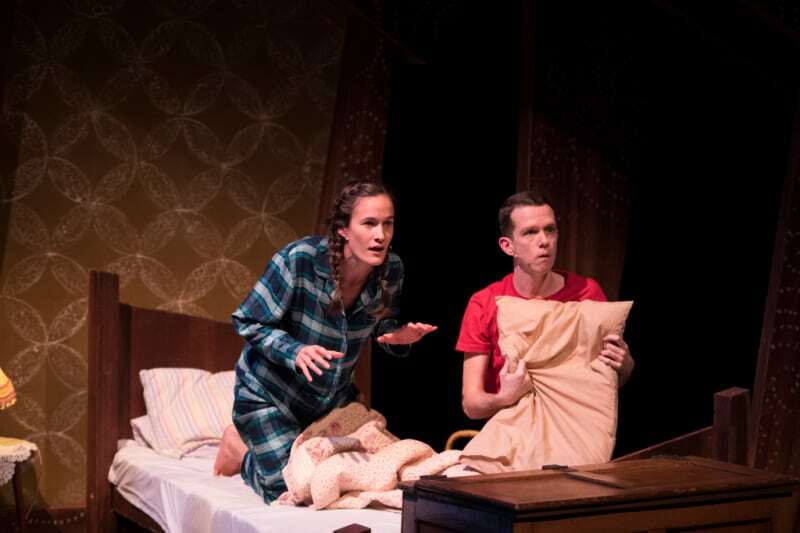 The show begins with the child’s bedtime and what opens up as a charming and endearing story. Things soon change tempo and the story takes on many twists and turns during the course of the show. The musical compilation is entirely original but I would put money on some inspiration flying in from the disco genre and hit bands like the Scissor Sisters and Pink Floyd. There are some truly magical moments in the show also like when Grandpa takes to the rings in the aisles and the mobile phone trick will have you gasp with confusion. 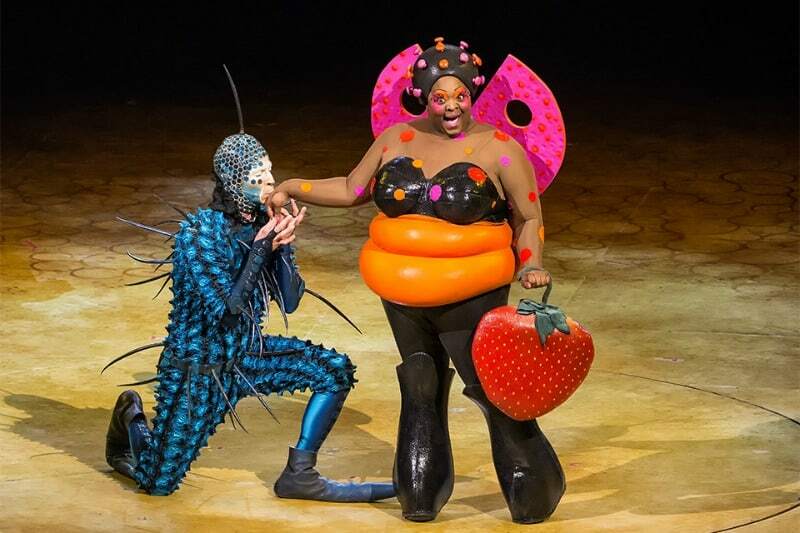 One of the charming things about Memories of Fools is the incredible creative use of characters that they bring to the stage. 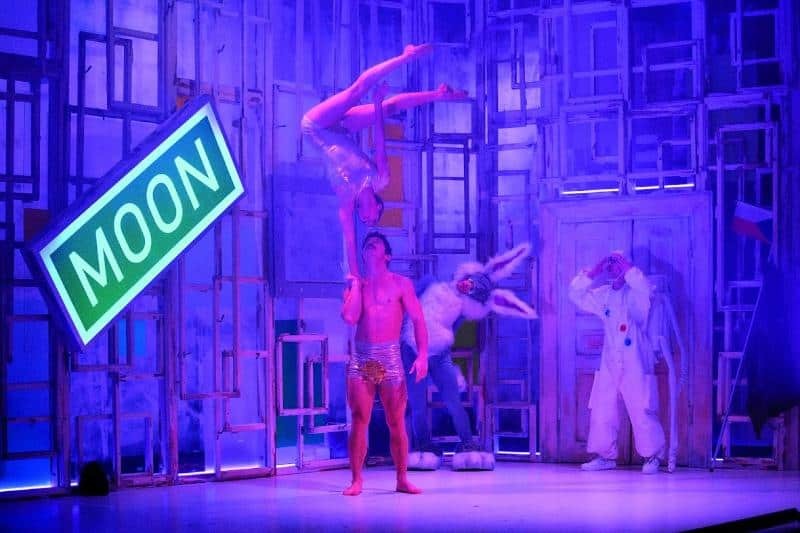 No one saw the giant bunny coming and the juggler can only be described, in my mind anyway, as a hybrid between Mozart and Edward Scissorhands. The second half of the show saw the circus skills reach a whole new level with some incredible use of the teeter board and some ball skills that I have never witnessed in New Circus before. It was also a surprise to see Adam and Eve appear on the stage along side an authentically dressed Elvis. 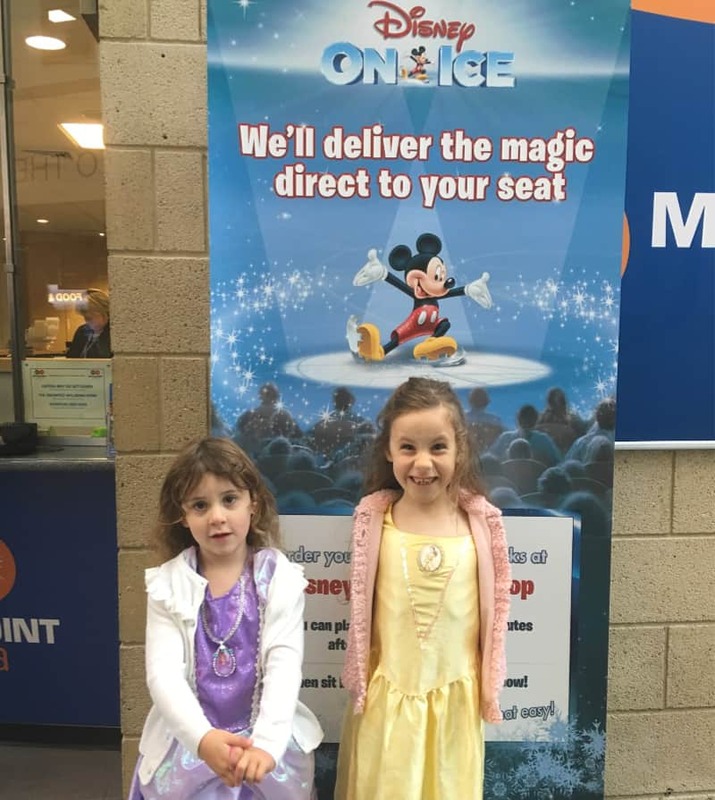 The entire show was a creative melting pot of original and inspired ideas bought together to create a moving and inspirational story about the magic of childhood dreams. I’m always confident when I walk into the Chamäleon Theatre that I will be uplifted and entertained and going to see Memories of Fools definitely did not disappoint. As a parent the narrative may have resonated with me a little more, but I honestly think this show would appeal to anyone who enjoys live entertainment and is looking for a fun night out in Berlin. This is a charming and creative new circus performance perfectly placed to awaken and inspire your inner child. As well as being a small and intimate setting, giving you the best close up experience of new circus available in Berlin, you also get to relax and enjoy the show as waiters serve drinks and food to your tables throughout the performance. It all comes together to give the audience a very special night out, that will be remembered long after your visit to Berlin is over. If a trip to Berlin to see Memories of Fools at the Chamäleon Theatre has captured your imagination, you can see the show until 18t August 2019. You can buy the tickets direct from the Chamäleon Theatre and prices start at 39 Euros. If you know someone who is visiting Berlin, you could buy them a gift voucher as an extra special treat, and I promise they won’t be disappointed. I was invited to the Chamäleon Theatre in Berlin to see Memories of Fools for the purposes of this review, but all thoughts and opinions are our own.